2018 is coming. Have you already created the new period for 2018 in SAP Business One? If the answer is no, maybe start rejecting transactions from now and setting up a new posting period would be a good idea. You can always check your period status and dates from the Posting Periods document. To find the document, go to Administration > System Initialization > Posting Periods. Here you can see the period status, posting date, due date and other helpful information. For an unlocked period, you may also change some information by clicking the yellow arrow and checking specific details. When entering a Period Code,you just need to enter the Fiscal Year, without the month. The Period Name should always be similar to the Period Code. Sub-Periods has four options: Year, Quarters, Months, and Days. The selection depends on your company. Usually Months is chosen. 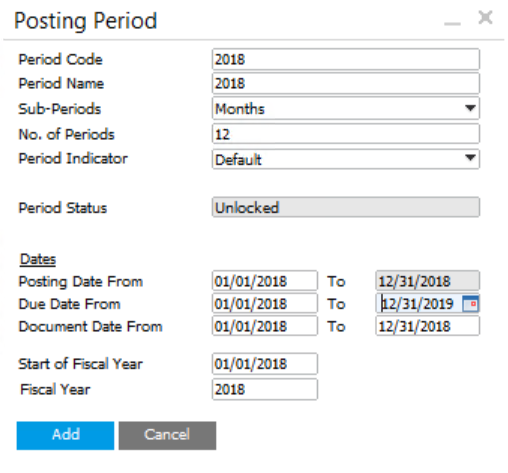 Setting the Due Date “To” Date into the following year may be helpful when some delivery dates extend to the next year. 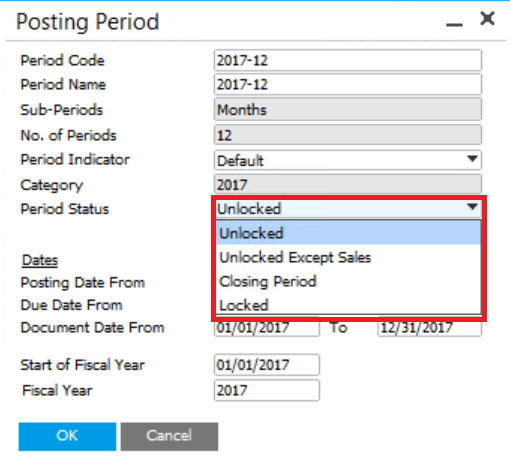 Don’t forget to lock the periods before you complete the end-of-period process and print the report. 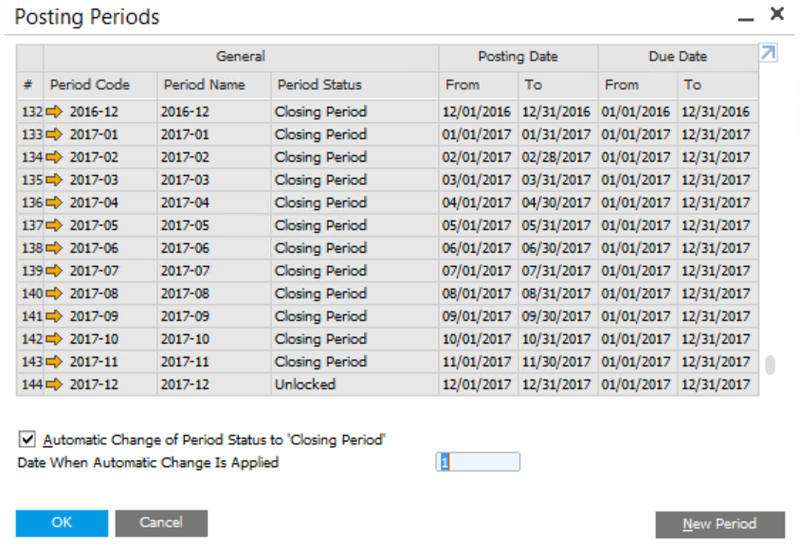 If you don’t lock the periods, the activities may still occur and be added to this period, which may cause you more time to correct and may even restart the result. In 2018, MTC Systems will continue sharing useful and helpful topic on our website. 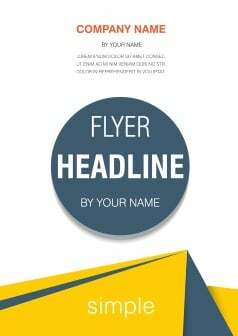 We will introduce the newest news in SAP Business One, more tips which may be helpful for your work, and topics by industries. Come and talk with us for more information!